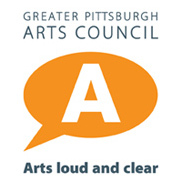 The Pittsburgh Artist Resources site is a project of the Greater Pittsburgh Arts Council (GPAC). GPAC supports artists through professional training, grants, networking, one-on-one consulting and discounts. Through our Artist Services programs, we help artists protect and promote their work, become more self-sufficient, and network. Copyright 2019 - Greater Pittsburgh Arts Council. All Rights Reserved.